Good morning! What is on your agenda for the day? 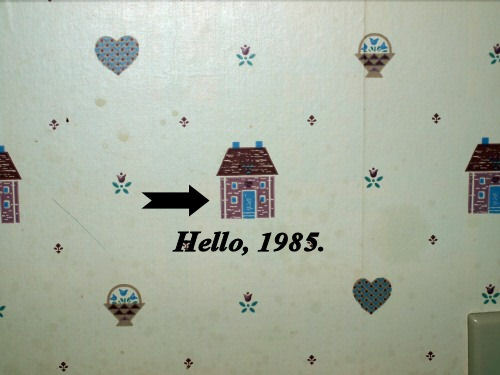 I still have some decorations to put up, ha!, and I haven’t even started addressing Christmas cards. They’re all made — 88 of them — but the letter isn’t written, and the labels aren’t printed, and my hand hasn’t started cramping from all the signing. Meanwhile, we got snowed in at my MIL’s last night, because we had about 3 inches of snow in a 2-hour period and didn’t want to drive home at night in Christmas traffic in fresh snow. 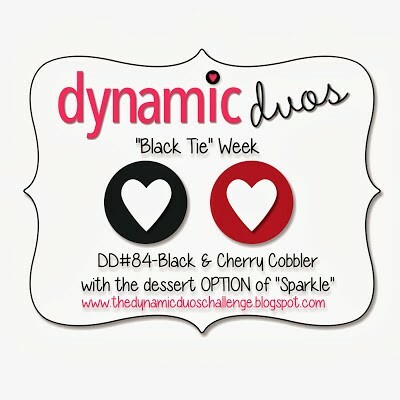 This week’s challenge at Dynamic Duos is a Black Tie event — use Basic Black and Cherry Cobbler, with the dessert *option* of sparkle. Well, you know if I have an option of sparkle, I’m taking the option! I love glitter and shiny, in case that isn’t clear. My card base is Basic Black. 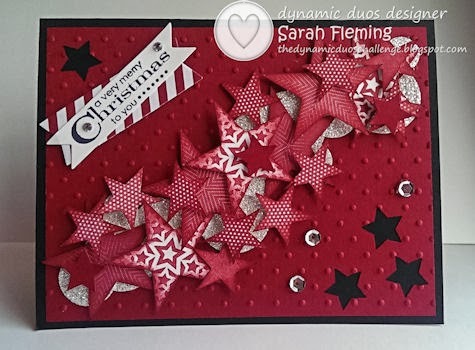 I embossed the Cherry Cobbler panel with the Perfect Polka Dots folder, then punched the stars out using the Merry Minis punch pack. For the shiny background strip, I just punched a bunch of circles out of Silver Glimmer Paper using the 3/4″, 1/2″, and 1″ Circle punches and glued them to the background using Tombow Multi-Purpose Liquid Glue. 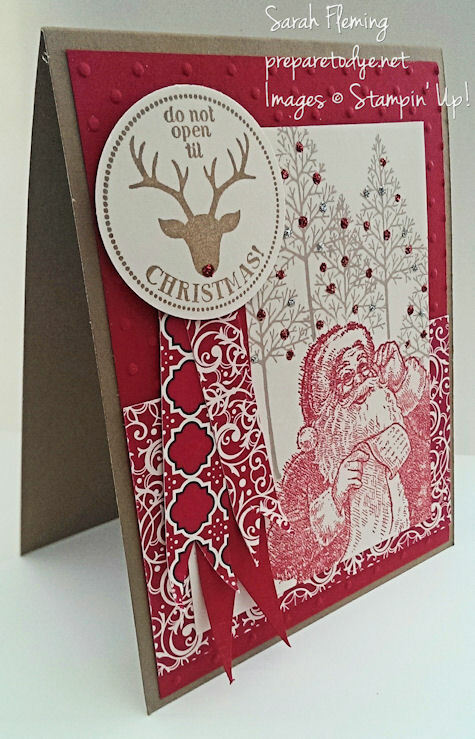 Then I stamped a ton of stars from the Simply Stars stamp set in Cherry Cobbler ink on Whisper White cardstock. I stamped some of the stars before I re-inked my pad and some after re-inking. I also sponged around the edges of each star for extra depth, and I liked the effect of that. 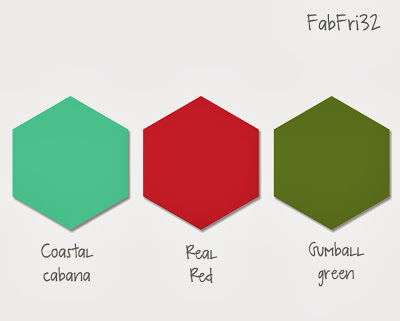 Unfortunately, we don’t have coordinating star punches or framelits, so these are all fussy-cut. Yeah, it took a while, but it was worth it. 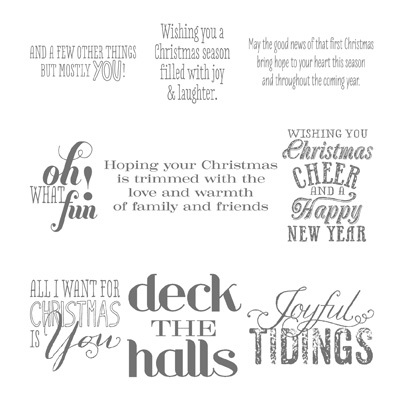 My sentiment is from More Merry Messages, stamped in Jet Black StazOn then cut out with a Bitty Banners framelit. 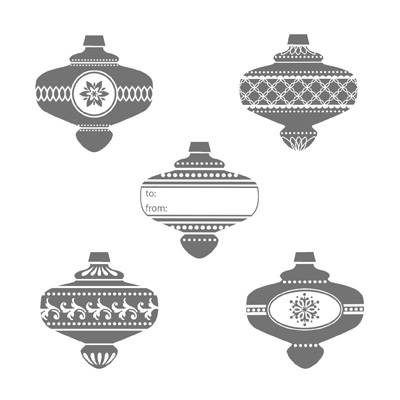 I layered that on a banner of Season of Style paper, which I cut out using one of the accessory thinlits that come with the Circle Card thinlits dies. 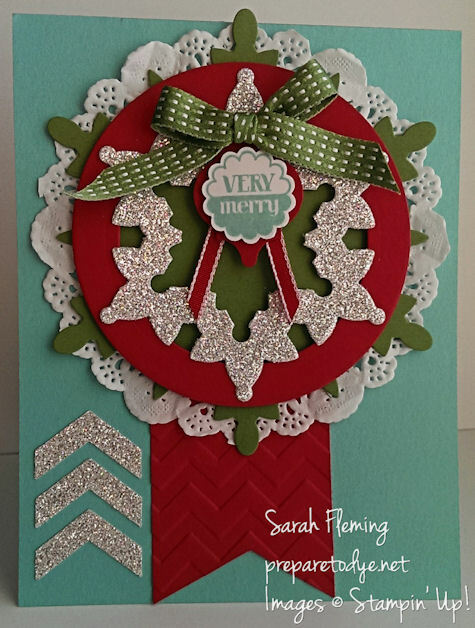 I added a few sequins and couple of rhinestones to finish off the card. 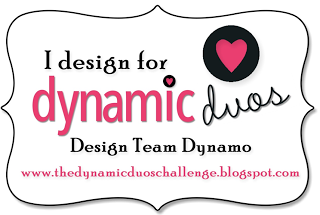 Head on over to the Dynamic Duos blog to see the rest of the design team’s fabulous samples. I think everyone did a fantastic job this week! 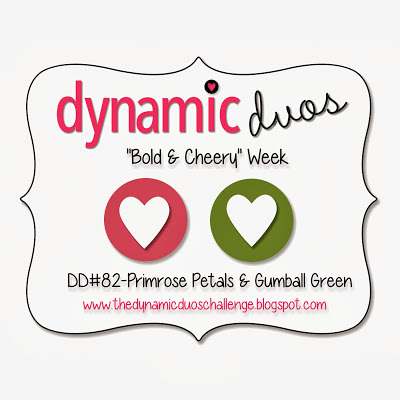 And we’d love to see what you make, so please play along! 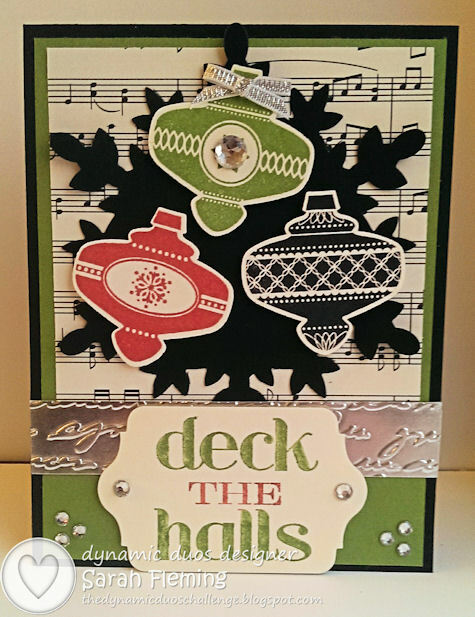 You can find all the supplies (except the sequins) to make the card in my online Stampin’ Up! store. Good morning! Did you get snowed in this weekend? We woke up to about four inches of snow on Saturday (and it kept coming), but driving in it was doable, so I went to my friend’s stamp camp and then came home and finished editing my husband’s book!! I’m so happy to have that done, and he’s happy to be sending the manuscript off to his publisher today. Yesterday we woke up to -3 degree temps, though, so all I have to say about that is BRRRRRR. No no no no no. Just no. This is what I call a “desk cleanoff card”, one of my favorite kinds of cards to make lately. As the name suggests, I came across almost everything on the card as I was cleaning off my desk (after weeks of not being able to see the top of it). I had in mind to use the colors for the Fab Friday challenge on this card, so I added some Coastal Cabana elements to the things I’d found on my desk, and a card was born. 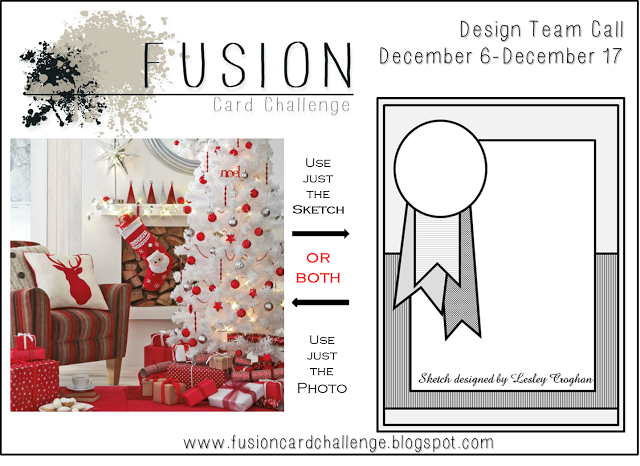 And now I just went and looked at the Fab Friday design team cards again and noticed my general layout is really close to Justin’s layout. While I do love his card and have saved it for later CASEing, that was actually not intentional. Oops!